I recently wrote a piece about potential line combinations for the New Jersey Devils in 2017-18, as it is an exciting offensive group with a lot of potential. I was going to do the same for potential defensive pairings but it would be pretty underwhelming in comparison. Also, I think Ray Shero will add to the Devils’ defense before the offseason is over. So instead of writing a piece that could be potentially changed, I’ll write one on that potential change. There are several defensemen that Shero should target over the new few months. Let’s take a look at a few that could potentially be had. It was a rough season for the Vancouver Canucks. They finished 29th in the NHL standings and scored fewer goals (182) than the Devils (183). Not great. The ‘Nucks are entering what will be a long and painful rebuild. The front office in Vancouver has recognized this and has placed veteran defenseman Christopher Tanev on the trading block. It was a weird season for Tanev. The right-handed defenseman dealt with several injuries ranging from ankle problems to exhibiting symptoms of the mumps. These injuries limited him to only 53 games. In those games, he recorded two goals, eight assists and had a plus-3 rating. Tanev has never been a big offensive contributor but he has proven to be an elite shot suppressor throughout his career. That is something the Devils could use a lot more of from their back end. 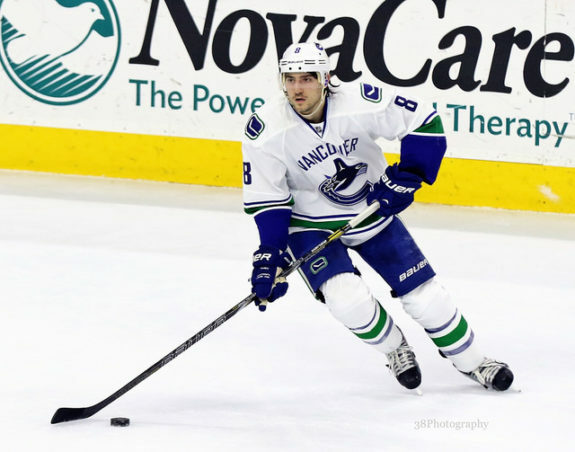 While there are some injury issues with Tanev, Shero should at least explore the possibility of this trade. He has a manageable $4.45 million cap hit for the next three seasons and is only 27, which is young enough for a team at the final stages of their rebuild. The price is reportedly high, but the Devils have a good prospect pool and all of their draft picks for 2017, and Tanev would be a good fit in Jersey. I put Sami Vatanen on my list of expansion trade targets for the Devils and I am putting him on here too. The Ducks are a bit cash-strapped at the moment, only having around $5 million in cap space. That may sound like a decent amount but they have over 10 potential NHL players becoming free agents next year. That group includes names like Nick Ritchie, Josh Manson, Brandon Montour and Andrew Cogliano. All of those players are important for the future of the Ducks and are expected to be retained. Next season will also be when Cam Fowler’s new $6.5 million AAV comes into effect. All of this money being moved around may lead to Vatanen being available. 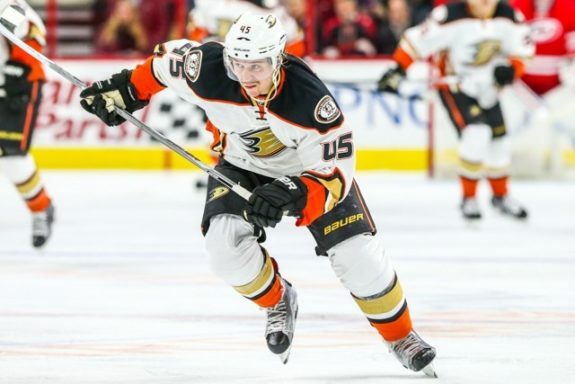 The Ducks have plenty of depth on defense even after dealing Shea Theodore and are looking for offensive help after missing out on Patrick Marleau. The Devils have a surplus of forward prospects after picking 12 of them in the last two NHL drafts. Obviously, some of them are untouchable but some could be packaged together with a few draft picks to swing a deal. Vatanen is only 26 years old, has 122 points in 265 games, and is due for a bounce-back year. He would instantly become the Devils’ best defenseman and would be a big addition to the power play. The price will also be high but the Devils may need to take a chance on one of these talented defensemen this offseason. There is a lot of mystery surrounding the Colorado Avalanche and what Joe Sakic will do next. 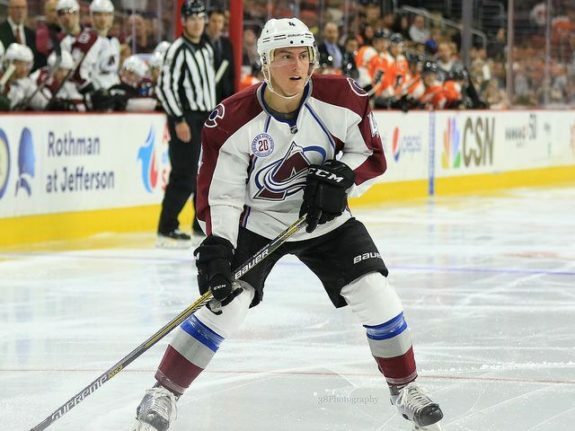 The Avs are at the beginning of a rebuild after finishing dead last in the NHL last season. In a very unlucky turn of events, they also dropped out of the top three in the draft and landed in the fourth spot. Rough year to say the least. With a slew of proven, NHL-caliber talents and not much depth around them, it makes sense for Sakic to ship some of them out and acquire assets for the future. However, most of the trade rumors around the Avalanche are a little intimidating. If Matt Duchene’s supposed price is any indication, it will cost a lot to pry any difference-makers out of Colorado. Despite this, Tyson Barrie has been the subject of trade rumors as well and can be potentially be had for the right price. Barrie is an elite offensive producer, posting 38 points last season on the NHL’s lowest-scoring team and 178 total points in the last four seasons. That puts him at 14th in the league over that span for points by a defenseman, tied with Drew Doughty. That may not sound overly impressive but Barrie has played in fewer games than 10 of the 13 above him, usually by a significant margin. Offensive production from the blue line is something the Devils desperately need and trading for Barrie would be a tremendous upgrade in that department. It’s up to Shero to find the right deal for both sides but this would be a great move. All three of the defensemen mentioned above will cost the Devils probably more than fans are comfortable with. That’s understandable. Not wanting to overpay or give up assets that may turn out better are legitimate concerns. However, the Devils are on the verge of competing again and need serious help on defense to do that. The offense is full of young, talented players and now it’s time for the defense to follow suit. Tanev, Vatanen, and Barrie are proven talents that can help the Devils win now. Trading some assets for one of them would be worth the price in my mind.